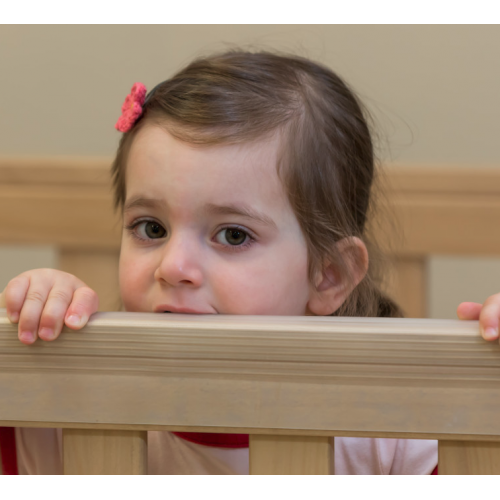 Munch flexi Cot Teething Rail protects your child and your cot. Your child’s tender gums and new teeth are protected whilst the risk of ingesting paint & varnish is removed. The soft chewable surface provides teething relief. Non-Toxic, PVC Free, Phthalate Free, BPA Free, Halogen Free. Soft and chewable to provide teething relief. Hygienic, all one piece and not made of cloth, so no spots for germs to hide or soak in. Recyclable and reusable eco friendly product. Easy to clean & bacteria resistant. Easy to remove without damaging your cot. New design flexible teething accessory and protector made from soft, chewable, durable, safe thermoplastic. No Phthalates, no BPA, no PVC, halogen free and totally safe. Protects Babies precious teeth and enamel both top and bottom, while also protecting the cot rail. Attaches via two strips of double sided adhesive tape (included). One side is permanent adhesive and is applied to the Munch flexi teething rail. The other side is removable, but strong, and is applied to the cot. We worked closely with Boori, the leading nursery furniture manufacturer, during the design and testing phases to ensure the Munch flexi teething rail fitted all of their cots. Munch flexi will fit any traditional rectangular cot with straight (not curved) rails. Size : 140cm x 18cm and can be cut to size with sharp scissors.